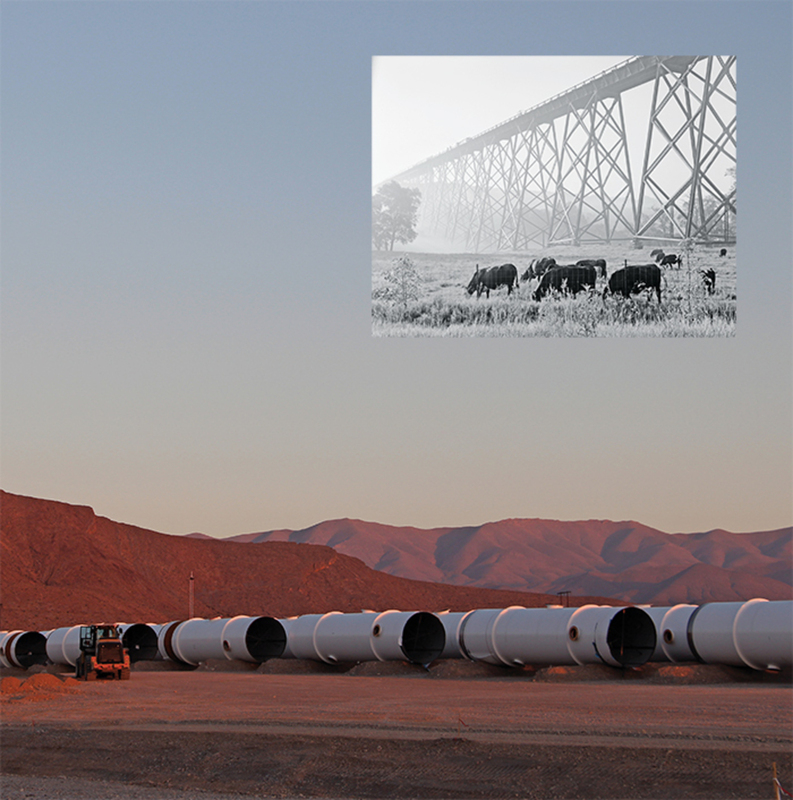 Hyperloop One test site, March 29, 2015. North Las Vegas, NV. Inset: Chicago & North Western Railroad viaduct, Boone, IA, 1995. Photo: Joe Elliott. WHERE IS THE SIGNATURE of a city most visible? Not in its skyline, but in its infrastructure. Medieval walls, Renaissance ports, the curving sweeps of concrete expresswaysthe configuration of infrastructure is the force that determines a city’s form. National identity is also displayed in these public systems. And nowhere is this truer than in the United States: The mythic American is a can-do, pragmatic innovator who tamed the wild with the help of the world’s best transport. Pathfinders on foot gave way to stagecoaches, railroads, Fords, and 747s, all heading toward our Manifest Destiny.